China’s retail sector is about to be plunged into collective madness. On Nov. 11, online shoppers are likely to snap up over $4 billion of goods when prices halve in celebration of “Singles’ Day”. Billed as a celebration of unmarried people, the event is actually a cue for massive online discounting. Consumers benefit, but the best deal goes to Alibaba, which reinforces the dominance of its Tmall and Taobao online marketplaces while leaving sellers to do the heavy lifting. Singles’ Day resembles U.S. sales promotions, but with even more dizzying numbers. Over 2 percent of the nation’s annual e-commerce outlay is spent on the day, compared with half a percent for U.S. Cyber Monday. Last year Alibaba attracted 213 million unique visitors on Singles’ Day – equivalent to a third of China’s entire internet-using population. Premier Li Keqiang has praised the e-commerce giant for generating a consumption-stimulating “shopping spree”. In reality, however, Singles’ Day demonstrates not consumer power but monopoly power. Alibaba’s market share of over 80 percent gives it huge sway over how sellers reach online customers. Brands on Tmall must cut prices, mostly by 50 percent, to be part of the site’s heavy 11.11 marketing campaign, for example. No-one is forced to participate, but those which don’t risk losing serious market share. Unlike rivals such as Jingdong, Alibaba doesn’t hold or deliver stock, so it’s insensitive to the prices of goods sold on its site. On the face of it, Alibaba’s virtual monopoly looks benign. All of the cash gains from Singles’ Day are passed to consumers through lower prices. But Alibaba does get a surge in traffic, and the transaction data that comes with it, helping entrench its lead over smaller retail platforms. For a company that aims to be the world’s biggest data platform, user traffic may be more valuable than cash anyway. 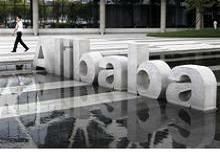 Sellers have benefitted enormously from Alibaba’s ascent. Tmall and Taobao let them reach customers on the other side of the country. But China’s retail sector is in the middle of a pitched battle between consumers, traditional retailers and Alibaba over who gets a bigger share of the economic returns. If Singles’ Day is a guide, those in the middle are set to get pinched hardest. China’s online retailers will launch sales promotions on Nov. 11 for “Singles’ Day”. The recently-invented event nominally celebrates unmarried people, though in practice it focuses on e-commerce and price discounts. Discounts of 50 percent or more are commonplace, and are often advertised weeks in advance. In 2012, Singles’ Day generated over $4 billion of transactions, according to McKinsey. That figure is equivalent to 2 percent of China’s entire e-commerce volumes for 2012. Alibaba, the operator of e-commerce platforms Tmall and Taobao, said it fielded 19 billion ($3 billion) of transactions. Alibaba had an 81 percent share of the online retail market in 2012, including both business-to-business and business-to-consumer transactions, according to McKinsey.